Akhilesh Singh, M.D. is a Board Certified ophthalmologist who specializes in the diagnosis and treatment of glaucoma and other health conditions that affect the eyes. 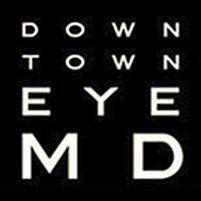 The doctor and staff of Downtown Ophthalmology serve residents of many New York communities, including Queens and Forest Hills. Glaucoma is a condition that affects the eyes. It can be an inherited condition and normally affects people who are advanced in years. The condition is caused by a possible build-up of pressure in the eye that damages the optic nerve. The condition is progressive will worsen as time passes. Glaucoma often exhibits no symptoms in its earliest stages. As the condition progresses, however, noticeable changes in vision will often be the determining factor in indicating that glaucoma is present. If left untreated, glaucoma can progress to the point a person begins to lose their vision. When the damage to the optic nerve becomes severe, the vision loss may be permanent. For many people, glaucoma may be present but not producing any symptoms at all. One of the first symptoms that is often overlooked, is the loss of a person's peripheral or side vision. As the condition worsens and the damage to the optic nerve becomes more apparent, more and more symptoms begin to appear. Vision loss, pain in the eye, redness in and around the eye, tunnel vision, blurry vision, and lights with halos are common signs and symptoms that something is wrong within the eye. It is important to have a doctor check a person's eyes if any of these symptoms begin to present themselves. Even if the symptoms clear up, the eyes should be checked and a glaucoma test performed. The doctor may produce eye drops if the symptoms are minimal and the glaucoma test indicates the condition is just starting to affect the eye. Eye drops may be able to reduce the pressure within the eye by stopping it from forming or by allowing it to drain away. Using eye drops may cause allergic reactions, however. Laser eye surgery and microsurgery procedures may also be performed. Lasers surgeries can be used to prevent fluid from building up by creating ways for it to drain away. Microsurgery affects the drainage channels of the eye and works to prevent fluid build up. Microsurgery is not always successful and may have to be performed several times to be effective.